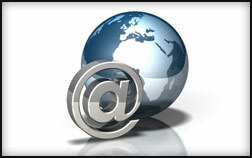 JHNet provides premium e-mail hosting that is safe and reliable. Our email hosting services are ideal for individuals looking for a personal e-mail address, as well as businesses of any size. Our mail servers are equipped with the latest in server technology and software, boasting an impressive 99.9% uptime. Robust anti-spam and anti-virus protection ensure safe and creditable e-mail delivery. Our professional e-mail hosting service is compatible with any e-mailing client such as Microsoft Outlook as well as all mobile devices with internet access. Webmail access permits you to retrieve your emails from any computer, anywhere in the world.